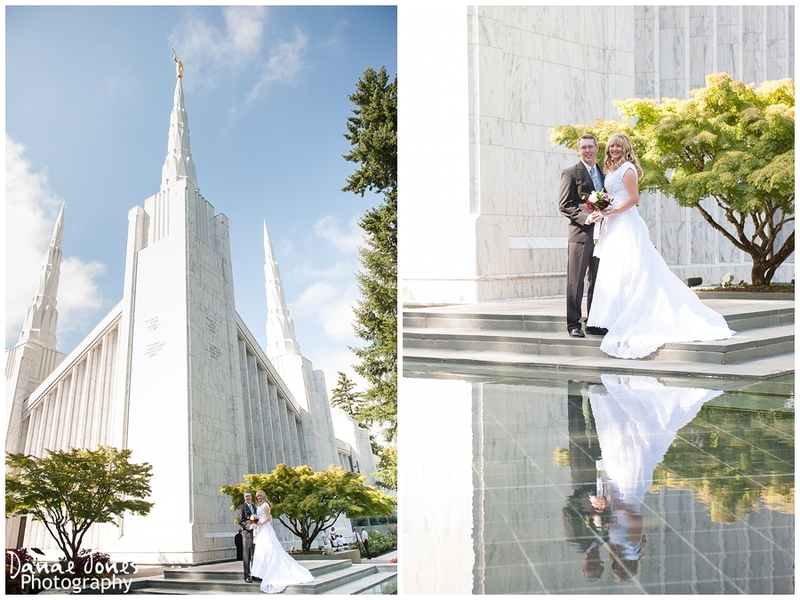 I have always admired the beauty of the Portland LDS Temple so you can imagine my excitement when Anjai and Will asked me to photograph their temple wedding. Anjai and Will exited the temple after their ceremony to an exited crowd of their family and friends who all stuck around for group photos. The temple grounds offer so much variety and wonderful settings for photos- but my favorite was the photos near the reflecting pool. I love the time I have with the bride and groom right after their first look. Many times this is the only quiet time the bride and groom have together the whole wedding and the joy and excitement they share in these moments is beautiful. You can see more of Stevie and Christian’s Eola Hills Vineyard Wedding over on my blog! 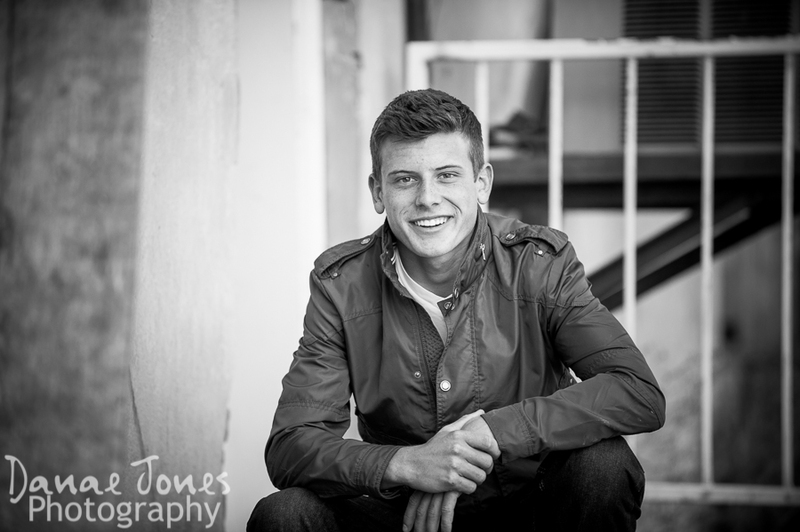 Jordan has a smile that lights up a room or, in our case, a back alley in downtown Albany! The fun thing about shooting senior photos is being able to choose locations and poses that fit the clients personality and style. The urban look was a perfect fit for Jordan. Head over to my blog to see the rest of his downtown senior photos. Ian wanted to show off a few of his favorite places in his senior photos. We started in the woods around his house and then headed to the beach to finish up. While it was surprisingly warm, it was super foggy which made for some cool effects in his beach senior photos. Ian loves to gather mussels at this beach and even treated me to some amazing hand gathered, home made mussel chowder after his session – how cool is that?! Jenn wanted to find a reason to wear her beautiful wedding dress more than once. And what better reason than an awesome photo shoot? We started out at Jenn & David’s house to photograph them doing a few everyday things, like hanging out with their dog Otto and watching movies and then turned it into a trash the dress shoot at Rogue Hop Farms. From their living room, to swimming in the river, to the hop rows, Jenn and David absolutely rocked their trash the dress session! 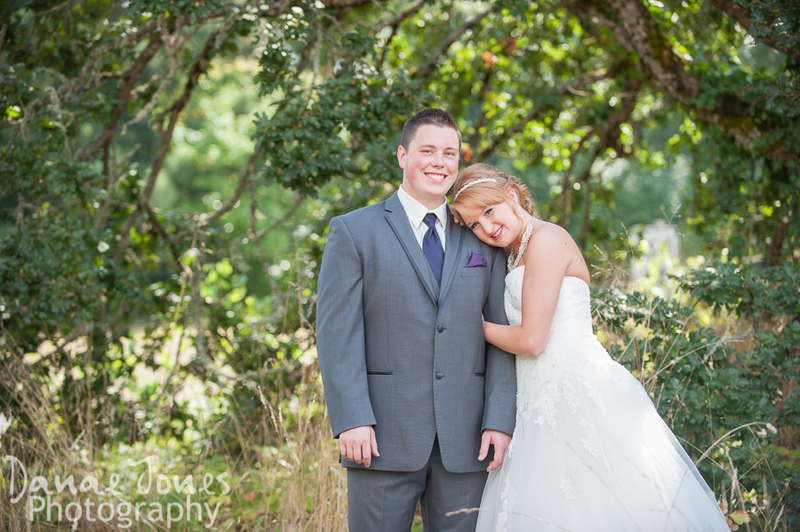 Jenn and David had a beautiful wedding at Green Villa Barn. After their adventurous engagement session I knew these two would have an amazing and fun wedding. What I wasn’t prepared for were all the wonderful homemade details that their families worked so hard on. Every little detail was thought out— like this get-away confetti. Doesn’t it look awesome? Head on over to the blog to see more of their beautiful wedding with all its details. Recently I got to shoot a super cool session for a really fun and adventurous family. They wanted to find out the gender of their new baby in a unique way and decided to have a family ‘paint war’ and find out by the color of paint that squirted out of the bottle’s I had chosen for them. I had so much fun capturing their priceless faces and sharing in their joy as they welcome another boy into the family. Want to see more fun photos from their gender reveal? I love bright colors in my photos so I was thrilled to find this wall for the Williams family session in Eugene. Don’t you just love the fall colors contrasted against the bright wall? I love this moment between the Jessica and Garrett— they were obviously so excited to be getting married and so in tune with each other, I’m sure they had probably forgotten that anyone else was in the room! Will’s Dad is an avid motorcycle rider and Will is following in his footsteps with his own motorized Harley Davidson. It doesn’t get much cuter than this! I always have so much fun shooting in the bride’s getting ready room— the atmosphere is electric with anticipation and excitement. I love this shot from Breanne and Josh’s wedding— there is so much going on in one photo. The Ries Family managed to all get together in the same place long enough to get some family portraits taken this Christmas.